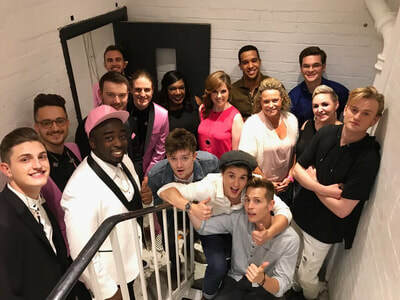 Ben is a judge on the Sky One talent show, 'Sing: Ultimate A Cappella'. Watch it on fridays at 9pm! Sometimes you get an email through that is the last thing you will ever expect to get. I had one such email in June asking if I was interested in being a judge for a new TV show to air on Sky One. 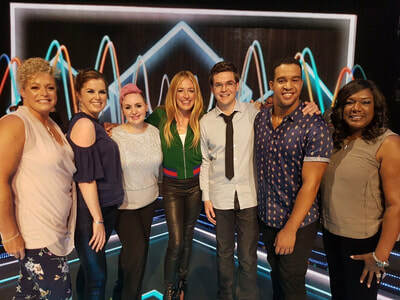 The idea of the show was to celebrate a cappella (voices only) groups in a new competition presented by Cat Deeley. There would be six heats and a final, with the winning group given the opportunity to record an album at the legendary Abbey Road Studios and release a single in time for Christmas. Once I had read the email seven or eight times, and double checked that it was really for me, I replied saying, ‘is this really for me? !’ It was. 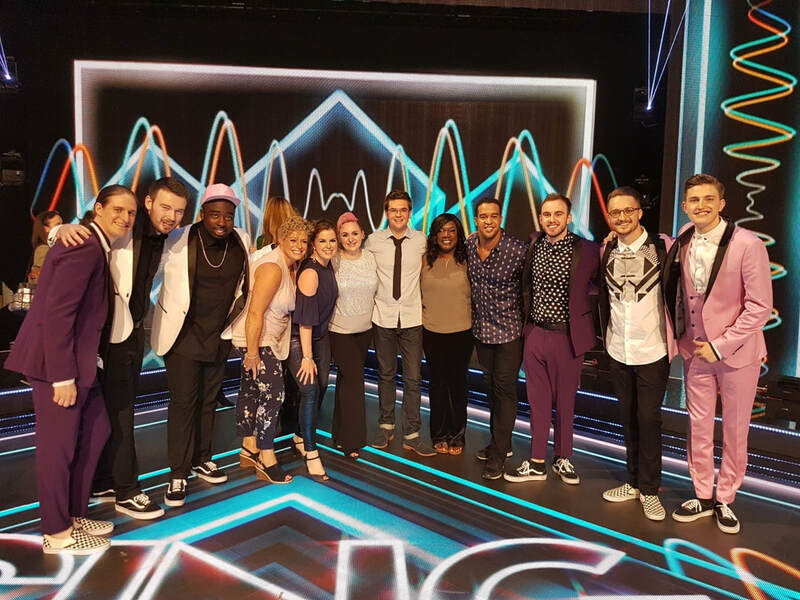 The thing that made me say ‘yes’ was that the producer I spoke to went to great lengths to explain that this was no ordinary TV talent show. This was all about the groups and designed to be a wholly positive experience for everyone. No ‘mean judges’ here, just a group of five experienced professionals that would listen to each performance and give marks accordingly, so the singing very much came first. The show was filmed at The Troxy in East London across a week, starting in late JuIy. First I got to meet my fellow judges: Rachel Mason, who ran an award-winning Show Choir, toured internationally and judged competitions across the world; Aaron Lee Lambert, an actor on the West End and a cappella singer at Yale University; Joanna L’Estrange, former director of The Swingle Singers and now a renowned jazz and session singer who I had had the pleasure of working with before; Carol Pemberton MBE, founder of ‘Black Voices’, a female group based in Birmingham; and Emma Brain-Gabbott, ready to stand in if any of us were ill, member of The Sixteen. 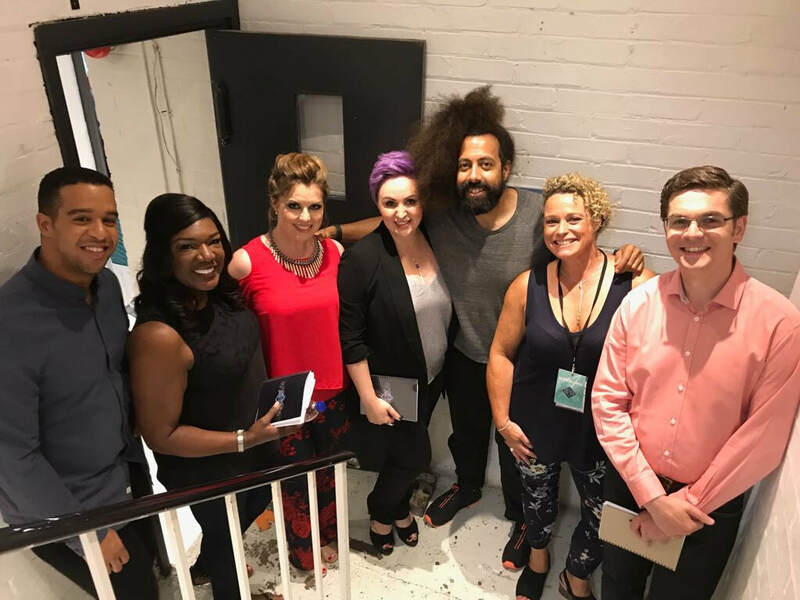 What was clear from the very beginning was that the six of us were very much on the same wavelength but all had different things that we might particularly be looking for in an a cappella performance. So onto the filming. I’m obviously not going to give the game away here, but a typical day of shooting went a little like this: On arrival, we would be taken to hair and makeup, with our runner Tee ensuring we didn’t accidentally bump into any of the competing groups on our way. This was my first experience of hair and make up, and the team doing it for the show was the same team that does ‘Strictly…’ and numerous other big shows, so I was in good hands. As you may expect, this was not a long process for me or Aaron, but it was a chance to get on with arranging a song or two while waiting for the girls to get theirs done! 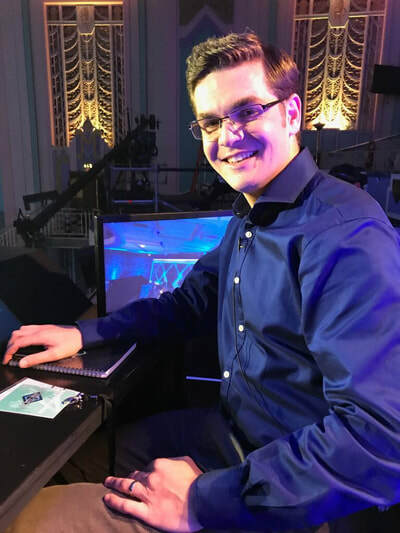 After that, our producer Dan would give us a briefing on that day’s show, telling us of any little changes there might be and going over which of us would be saying something and when through the course of the show. After a bite to eat, we went up to our position in the gallery overlooking a most impressive-looking stage set up. There was a main stage in front of us with performance spaces under the gallery and on stair cases to the left and right. We each had an allocated seat with our judging tablet in front of us and a monitor at each end. This was so that we could see any performances out of our line of sight. Once we were mic’d up, we were ready to go. The great thing about ‘Sing: Ultimate A Cappella’ is that it really is 100% a cappella right down to the intro music. The house band is even an a cappella group: the brilliant ‘Sons on Pitches’. They really are one of the most versatile groups around, with any number of them able to take a solo lead at any given time. One of their biggest challenges was the link music, where they would have to sing a six-second snippet of a song to introduce the next slot. Not easy, but always done superbly! 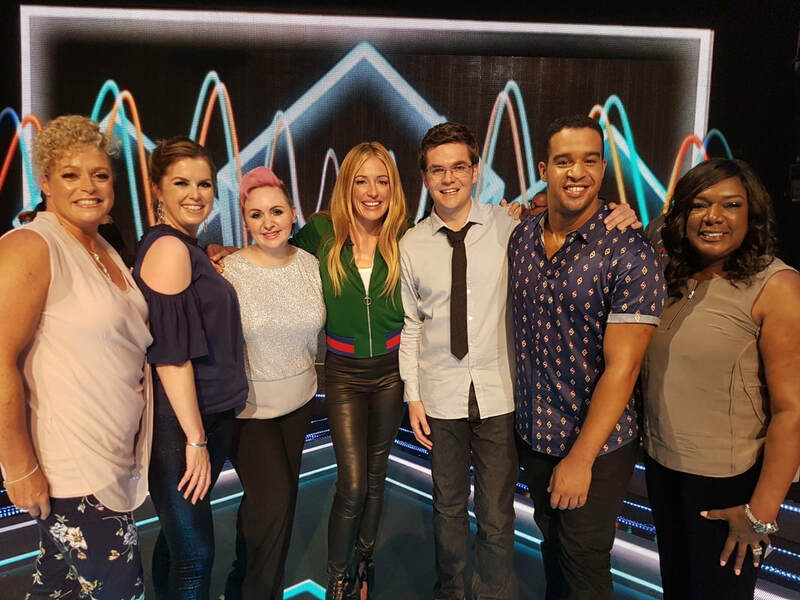 The other thing I learnt this week is just how demanding the job of a presenter is, and Cat Deeley really is one of the best. Her charm and good humour through the week helped keep everyone relaxed and she was always on her mark ready to go, asking great questions of the special guests and generally being the glue that holds the show together. So onto my job: the judging. For every performance, I look at four aspects: vocals, musicality, interpretation and performance. For each of these I give a score out of 10. That is then combined with the scores given by my colleagues to give an overall score out of 200. We input the marks onto a purpose-built app on a tablet computer in front of us. Simple. Or is it?! In addition to that, each of us have a speaking slot when Cat asks us a question about the judging. The best bit about this was that all of our comments had to be constructive, always pin-pointing a positive alongside an area to improve. Again, no ‘mean judges’ here. But there were times when we only had a matter of seconds before we were on and having to formulate the right kind of answer in that time and deliver it fluently is not as easy as it may look! 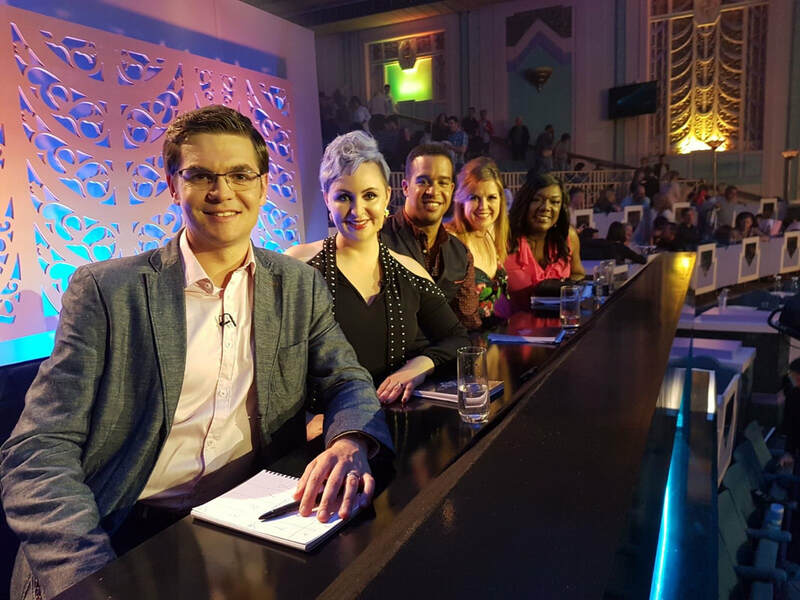 That said, having been told initially that we would not be speaking much, to have this opportunity made the show all the more exciting, and since then we have done some individual filming sessions for spots to be shown through the show explaining just how the judging works. So that’s it: well nearly, but for more you need to watch the show. I genuinely think it will come across superbly on the television. It is entertaining, fun and you can see that despite some being nervous, every group had a great time preparing for their chance to show us what they could do. For me, it was a brand new experience that I enjoyed enormously, and I cannot wait for the recording of the final. Finally, the best thing about music is the friends you pick up along the way, and through ‘Sing: Ultimate A Cappella’, I have another group of great friends who have shared with me in this wonderful experience!